i would play whitout native resolucion but when i open the game menu and map the game simple drops from the good 60 fps to 40~45 fps which is very anoying and stroublsome since u need to use it alot, in native the game goes just fine in everything but band graphic any solution to this? Try disabling/enabling 8-bit textures in gsdx options, ut may help. so, the 8-bit thing didn't do the trick ? was wondering... Changing to software mode before getting into the menu (F9 Key) ... did you try ? 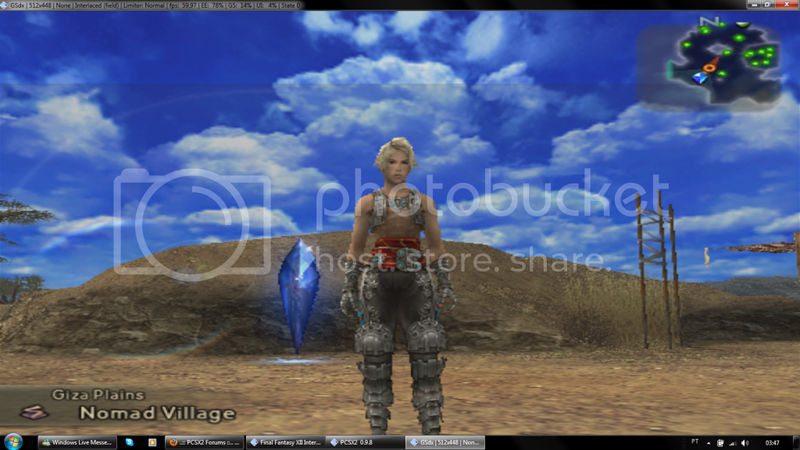 tried latest pcsx2 svn too ? Try to set it to x2 scaling and see if the menu is still fast enough. If it's not, switch to manual upscaling and enter ever smaller numbers. Start with 1024*1024, then 800*800, then 800*640 and so on.